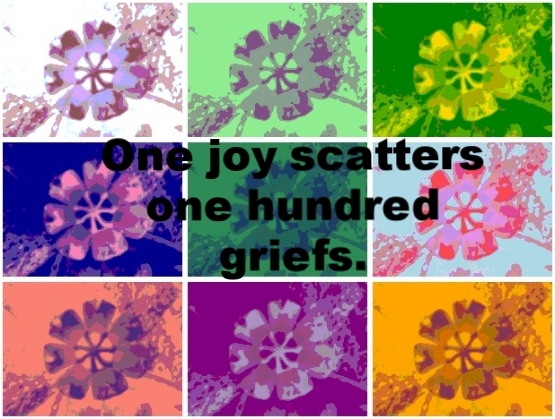 One joy scatters one hundred griefs. You bring joy to the world my beautiful friend. Add all the digits of your birthday to a single digit to discover how you bring joy to others. Look for the single digit below. 1- you bring joy with your uniqueness. 2- your deep compassion and sensitivity brings people joy. 3- your ability to creatively express yourself brings those around you so much joy. 4- people can count on you, this gives them a sense of peace and joy. 5- you inspire joy in people with your sense of adventure. 6- your unconditional love draws people to you to fill their heart with healing and joy. 7- your enthusiasm for knowledge motivates the same joy in others. 8- your generosity fills people with joy. 9- you’re fun loving whimsy brings people joy.